Wakamiya Hachimangu, the shrine is located in Gojyo. This shrine was established by Minamoto Yoriyoshi (988~1075) in 1058. Yoriyoshi was a head of Genji clan (samurai) in the middle of Heian period. This shrine used to be at Yoriyoshi's palace around Rokujyo. Rokujyo was the place where Genji clan used to live while the place around Rokuharamitsuji (temple) was Heishi clan’s land. There is also a monument of a well that was used at the palace of Genji clan. Genji and Heishi had a huge battle called Genpei War (1180~1185). Through this war, Genji eliminated Heishi and ruled Japan and became a founder of Kamakura period (1185~1333). The nobility lost their authority during this war and the time of samurai came. There is a historical novel of Genpei War called Heike Monogatari, the Tail of the Heike. In this novel, there is a description of female samurai (or the martial art expert). Her name is Tomoe Gozen (12th Century), and it is said that she was a very talented and brave samurai, and at the same time, extremely beautiful woman. Thanks to this historical text, we are able to know that there were female martial art experts at Heian period. 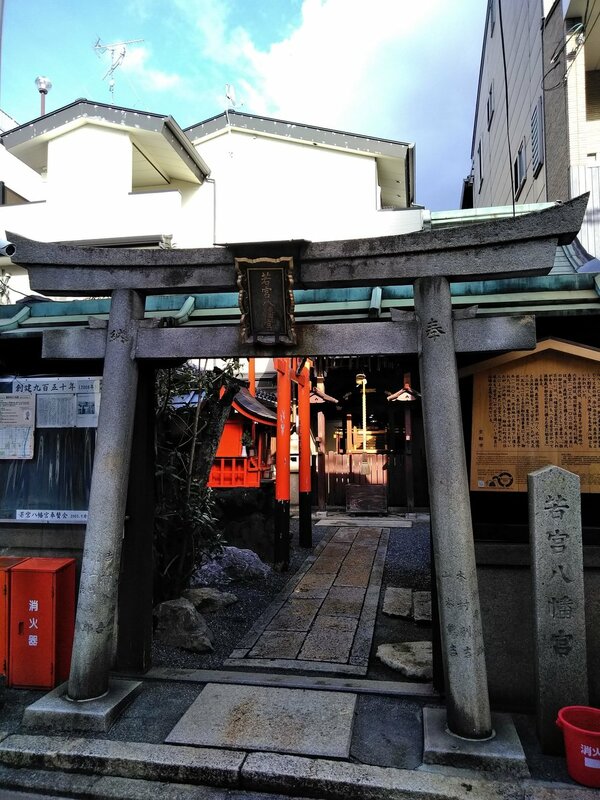 When you visit Kyoto, please pay attention to these little shrines, temples or monuments. You may learn a lot of Japanese history and can enrich your time in Japan, Kyoto.